Longtime Idaho resident, Mary Heston, announced her bid for the Idaho Senate position in district 7. The State of Idaho recently made revisions to its districts lines. 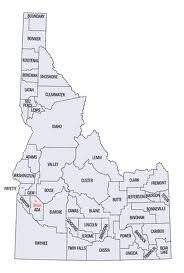 District 7 now runs from the southern point of Bonner county through Shoshone, Clearwater and Idaho counties. This new redistricting makes district 7 larger than 9 states (MD, HI, MA, VT, NH, NJ, CT, DE, RI). This election comes at a time that has seen particular challenges for Idaho economically, particularly with the recent shutdown at the Lucky Friday mine in Shoshone County. Mary and her family spent a year in Baltimore where Mary worked with an Internet Safety group and saw first hand the workings of committees in Washington DC. They then spent time in the Middle East where Mary's husband worked for a year and they witnessed the absence of personal freedoms. Now back home in Idaho, Mary is more committed than ever to defending our constitution, reclaiming our states rights and protecting our personal freedoms. For the past 15 years Mary has been working to strengthen the family through her work online. She was a guest on the Oprah Winfrey show discussing connecting with your kids and serves on a number of advisory boards for family related education services. Mary is excited to bring her years of service and experience to the state senate in Idaho.